Last Wednesday morning I went along to the first briefing with a company called Ubiquisys to see their product ZoneGate, a Femtocell. If you think you’ve heard of them, it’s could well be because of the investment that Google made in them recently. Femtocells are about the hottest topic in mobile telecom currently. 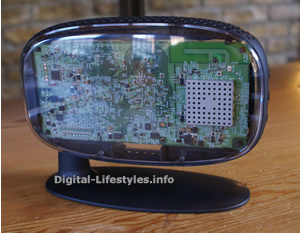 In summary, it’s a cellular 3G base-station that sits in your home, connects to your broadband connection, enabling you to use your 3G mobile phone, at full signal strength, for voice calls and data sessions – but routing them over your broadband connection. If that sounds good to you, you’ll be surprised to know that your mobile operator likes the idea of it too. One of the major costs for operators is the backhaul – getting voice and data from the cellular tower back to their mobile network. Estimates of costs for backhaul are widely accepted to be up to one third of their operating costs. Femtocells in the home or the office lighten this load by using broadband connections – paid for by the person whose office or home it is – to get the calls and data back to the operators network. We had a discussion with Will Franks, CTO and founder of Ubiquisys (podcast below) where we learnt the source of the idea was his frustration at terrible mobile reception that he was having at his rural home – something that most of us can identify with. Rather than just getting frustrated and making his phone calls at the top of his stairs, while standing on one leg, and a finger is his ear – he decided started to make a solution for the problem way back in 2004. 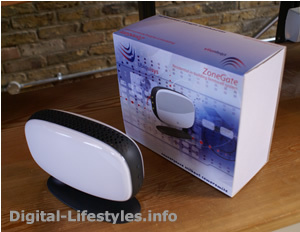 The result is their femtocell product, ZoneGate. What’s ZoneGate like to use? 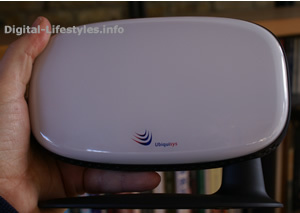 One of the major considerations in the design of Ubiquisys box was to make it utterly simple to install – the exact opposite of installing a wireless router. I’ve used the box and can confirm that it is indeed a doddle to setup. It’s worth outlining the expected way it will get into a consumers home. The boxes will be pickuped from a shop and while there, the mobile phone numbers that will be used with the ZoneGate are given to the shop. 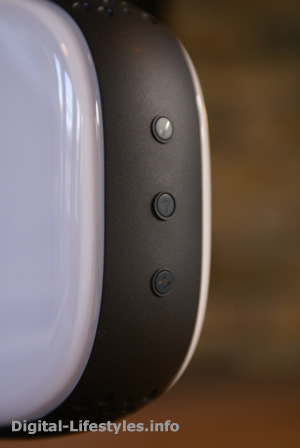 Once home, a SIM is inserted into the ZoneGate, it’s plugged into the electricity and the broadband connection. From there the configuration is automatically carried out between the ZoneGate box and the mobile operators servers. While this is going on, the box is testing and selecting the optimum wireless frequencies to use between the femtocell and the mobile handsets – avoiding any conflicts. Then, within a matter of seconds, calls and data browsing is possible using a normal 3G handset. Not only are calls at full quality, but data connections will be as fast as they can be, and you end up using your current mobile number. Doesn’t BT Fusion do that already? There are a couple of similar system around currently, like BT Fusion, but they use Wi-Fi to carry the phone calls between the mobile handset and the base station. This brings two disadvantages, the Wi-Fi takes a lot of power so battery life isn’t great and the handsets are restricted to those which are specifically designed to work with the service, restricting choice significantly. With a femtocell, as it uses normal 3G, the choice of handsets is any 3G handset, and as reception is so good, battery life is better than when walking around the streets. Qbiquisys is currently undergoing trial in Europe and it’s imagined that they’ll be in the shops in SUmmer this year. Form a queue here, but be aware that you’ll be behind us!